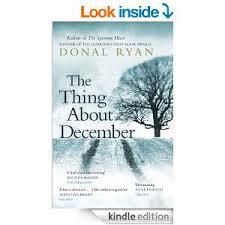 I had the pleasure of hearing Donal Ryan, one of Ireland’s top novelists, speaking about his writing process. When he talked about how he creates his vivid characters, he quoted French novelist Olivier Adam, who claims that creating a character is like tuning in a radio. Once you’ve found the right frequency, all you have to do is listen. That’s how deep the relationship goes between authors and their characters. For authors, characters are like their children. They know them as well, if not better than, the real people they love. While the end result of this relationship may be the same – characters that leap off the page – the ways authors create characters and relate to those characters differ. Here are the three main types of author-character relationship, which tend to be shaped by the author’s personality and writing process. The guide: Like Adam and Ryan, authors who view their characters as a guide follow their lead. They’ll often claim the character is telling them what to say and they’ll write down their words, which must be a deeply exhilarating experience. They also see their characters appear before them like ghosts. These are the authors who mutter to themselves as they go about their daily business. They’ll start their books by writing down what the character tells them, and use the later drafts to make order out of chaos. The puppet: This is the partnership approach to writing. Like a puppet master, the author breathes life into the skeleton of a character. While the character does take on a life and personality of their own, the author controls their actions, like the puppet master pulling the strings. Their approach to creating a character is still quite intuitive, but they want to bring structure to the process as well. So while they may think about what a character will do in a given situation, the author will make the final decision. The construct: Authors who use this method build their characters from the ground up. They believe that writing a novel is like building a foundation; you can’t succeed without a foundation. They lay that foundation by doing character sketches, where they do profiles of the main characters in their books. They may also draw spider diagrams, showing how the characters are linked to each other, or draw detailed family trees. If you’re a logical, methodical person, this method will suit you. It’ll be a blueprint that you can use to move forward. Which character relationship resonates most with you? I reckon I’m more of a puppet girl myself. I was reading an article in The Bookseller which talked about the importance of authors finding a way to sell their books that’s natural to them. Being able to sell your books is a necessary evil in today’s crowded marketplace. Yet selling doesn’t come naturally to many authors, who tend to have introverted natures and prefer to hide behind their books. But selling doesn’t have to mean deafening people with the constant blast of your trumpet. The best way to sell is by telling, and telling stories is something that does come naturally to authors. The article stressed the importance of finding a way to sell yourself that’s comfortable for you. Author Penny Vincenzi has found that blogging is a good fit for her, because she finds it hard to condense her thoughts into a tweet or Facebook posts. Blogging can be an avenue to sales for authors who want to spread the word about their books, but are a little shy about it. Here are three very good reasons to take up or continue blogging as a way of selling your books or writing services. You can display your writing flair. Blogging is a form of writing, and you can use it as a way to express your creativity. You can use your blog to share your passion for writing and your love of words. It’s also a good way to hone your writing craft, because blogging gives you the chance to hone the ability to write in a practical, accessible way. You’ll also get the chance to show your readers your prowess with language and if they enjoy your writing, they’ll be more likely to invest in your words. Blogging gives you space and time. Like Penny Vincenzi, writers are wordy people. Blogging gives you the chance to explore the subjects you’re passionate about in depth. You won’t be constrained by the need to summarise your thoughts in 140 characters, so you can develop your ideas more fully. If you’re a person who likes to think things through and do some research before you hit Publish, blogging gives you a chance to do this, and readers will appreciate your expertise and atteiont to detail. You’ll develop your relationship with readers. Readers are just as interested in hearing your story as the stories they read about in your books. Blogging gives you a chance to talk to your readers, to let them in on your writing secrets and share the things that inspire you as a writer. It also gives them a chance to respond and ask questions, so they’ll know you’re a person, not just a name on a book. Blogging builds trust and if readers trust you’ll they’ll be more likely to buy from you. The best sellers sell without appearing to sell. Weave a call to action into your text, a link to your website or a place where people can buy the book on Amazon. After reading your fabulous blog post, readers will be keen to find out where they can buy your books, and providing a link will make it as easy as possible for them to buy the book. How has blogging helped you to sell your books, or helped you in general as a writer?